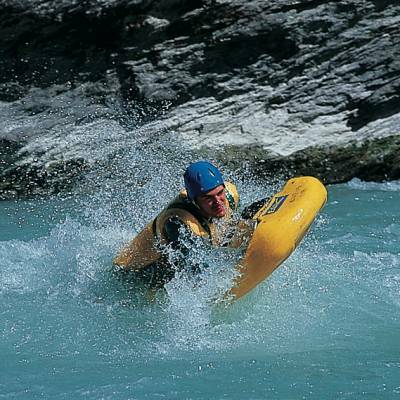 Hydrospeed is also known as river boarding and is in effect surfing on white water rapids. 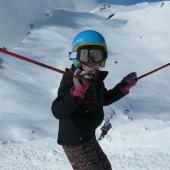 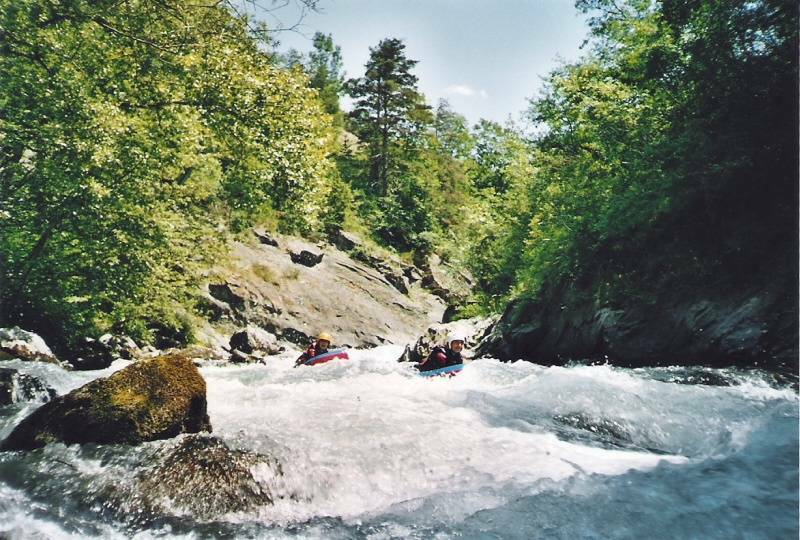 It is excellent fun and if you want to get close to the water - this is the way to do it! 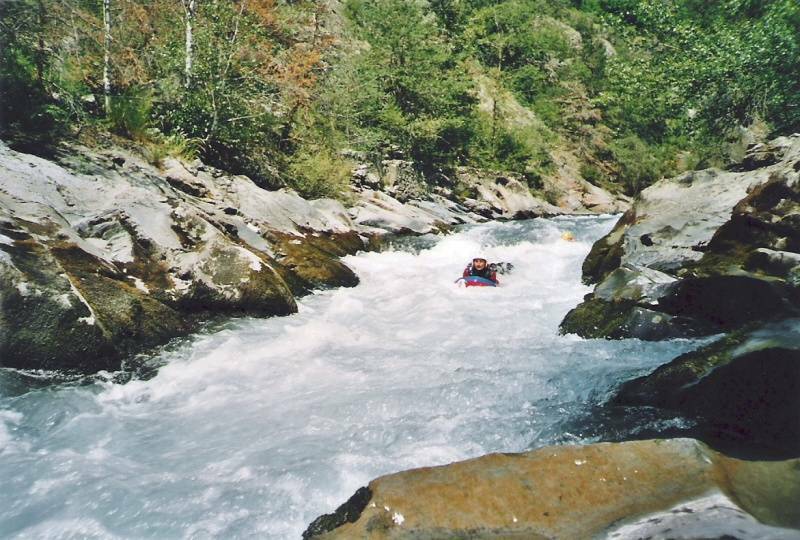 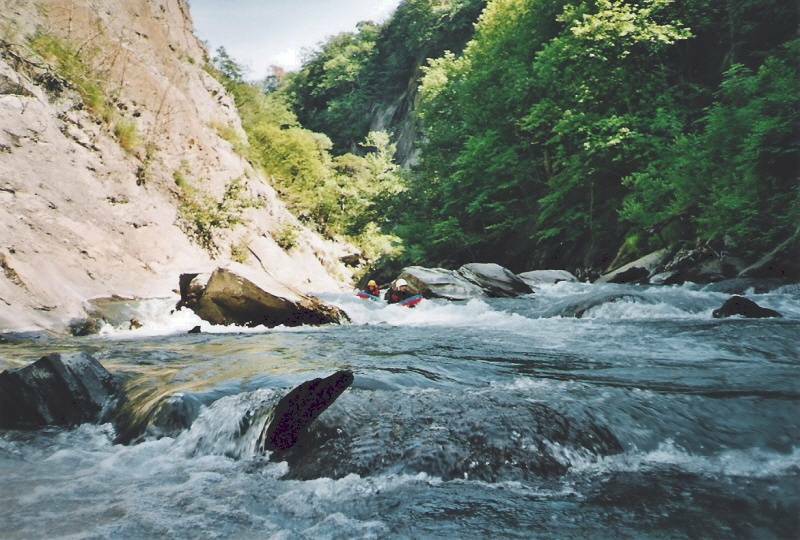 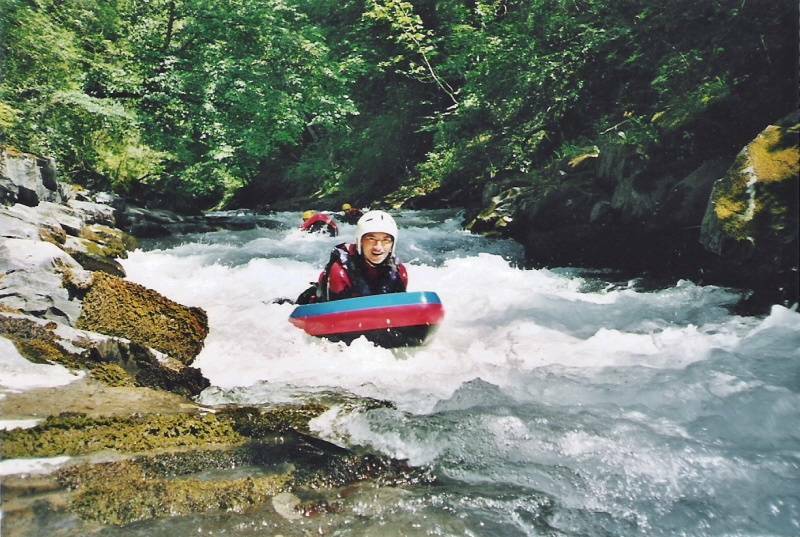 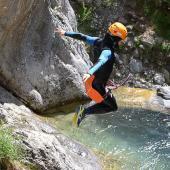 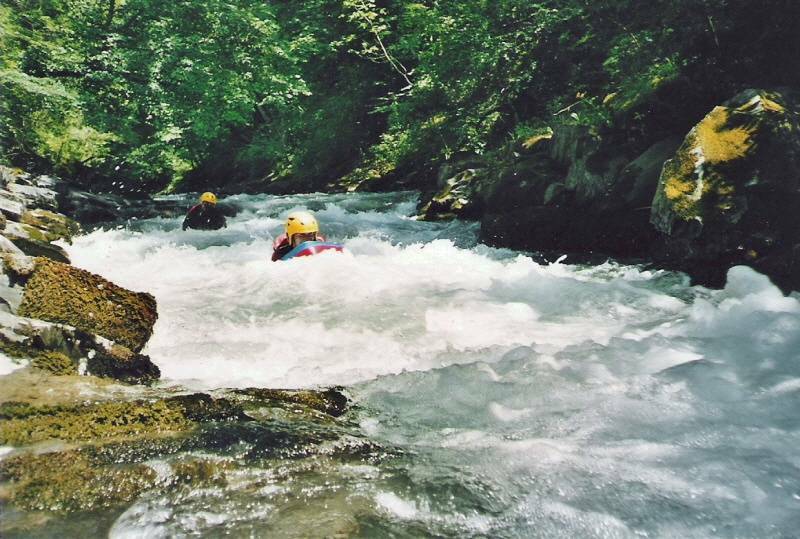 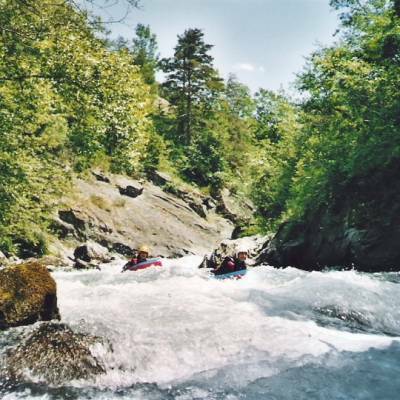 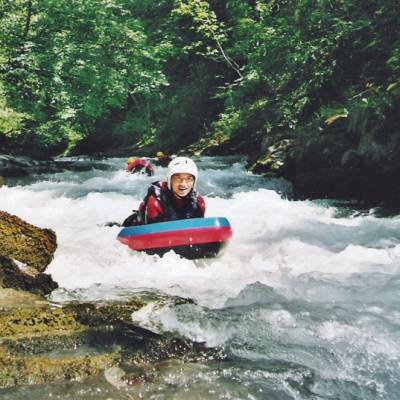 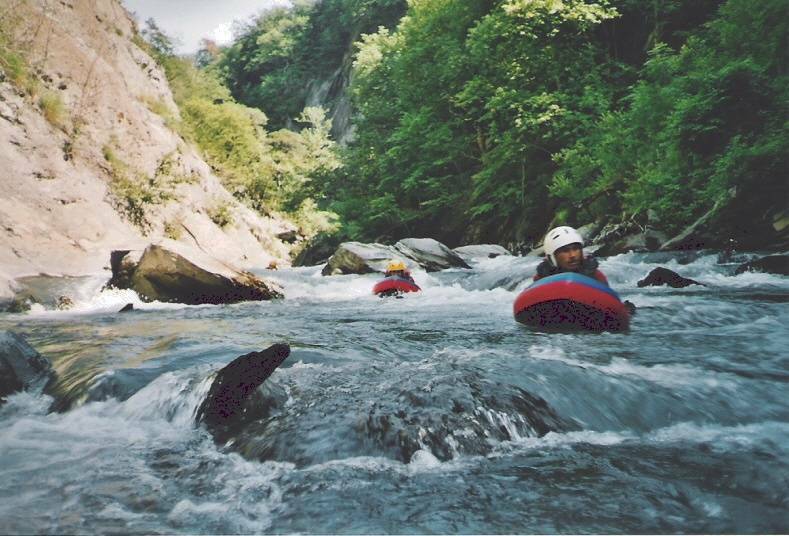 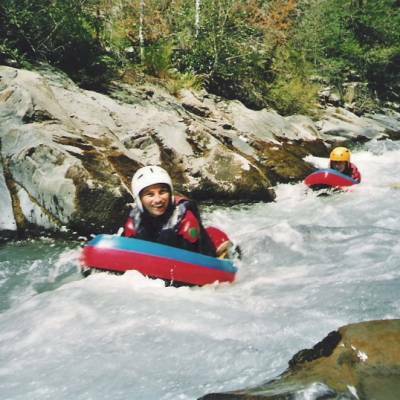 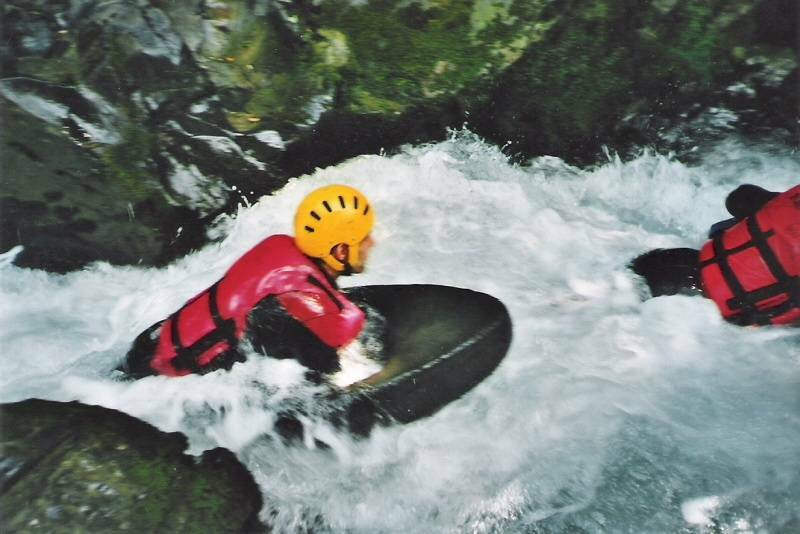 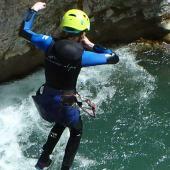 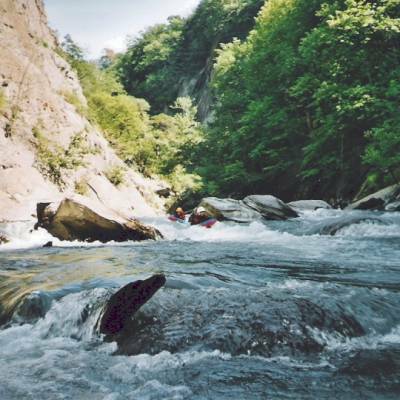 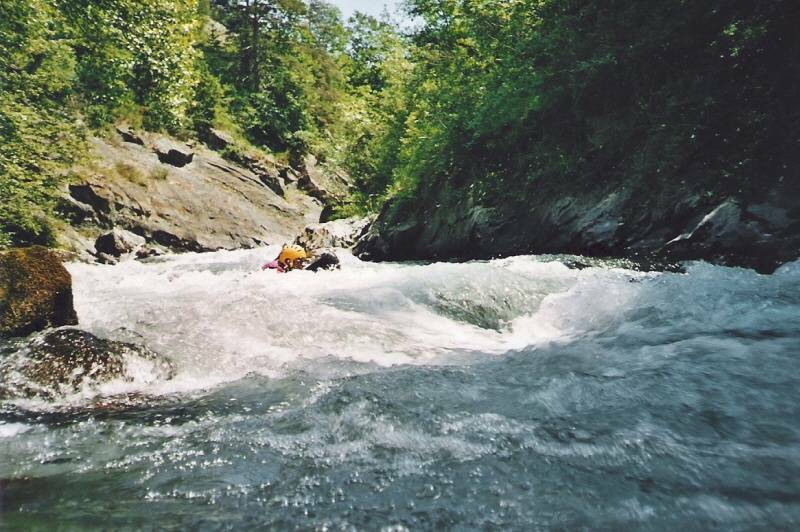 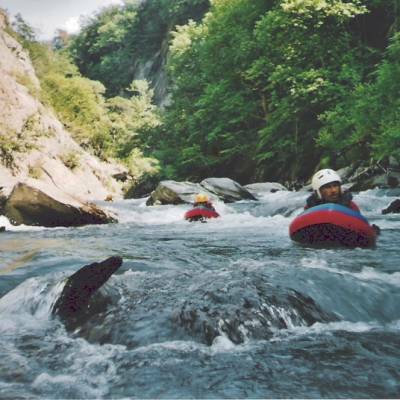 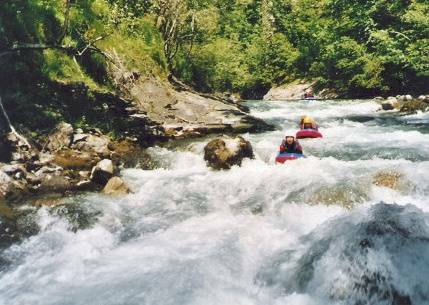 The French claim to have invented hydrospeed in the late 1970s when raft guides stuffed mail sacks with buoyancy aids and went down the rapids of the local rivers. 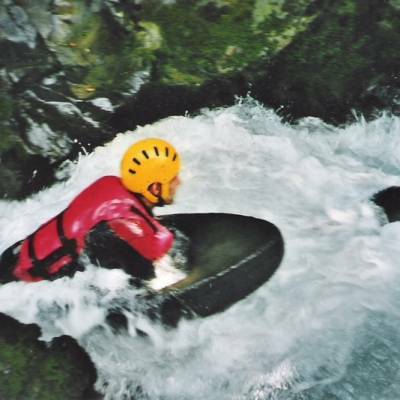 After years of adaptation and evolution, the foam hydrospeed board was created. 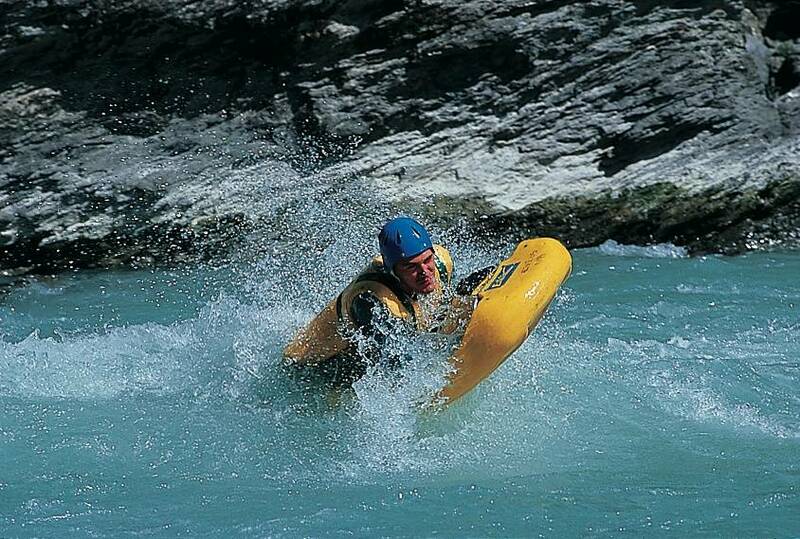 Lightweight and safe in collisions, the sport of hydrospeed has never looked back! 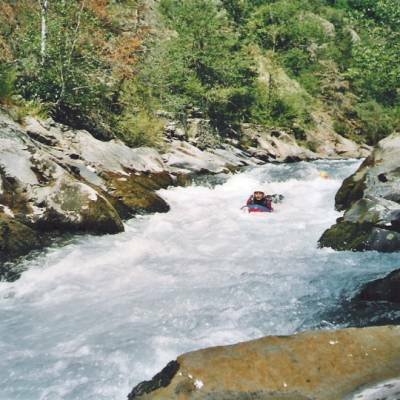 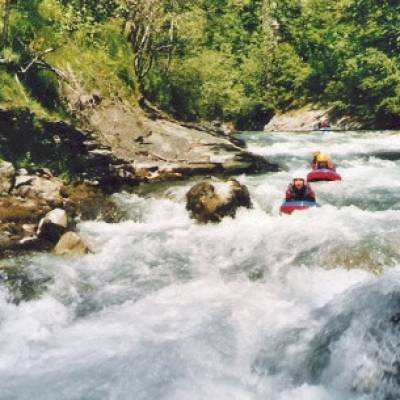 A thrilling white water roller coaster ride down the alpine rapids. 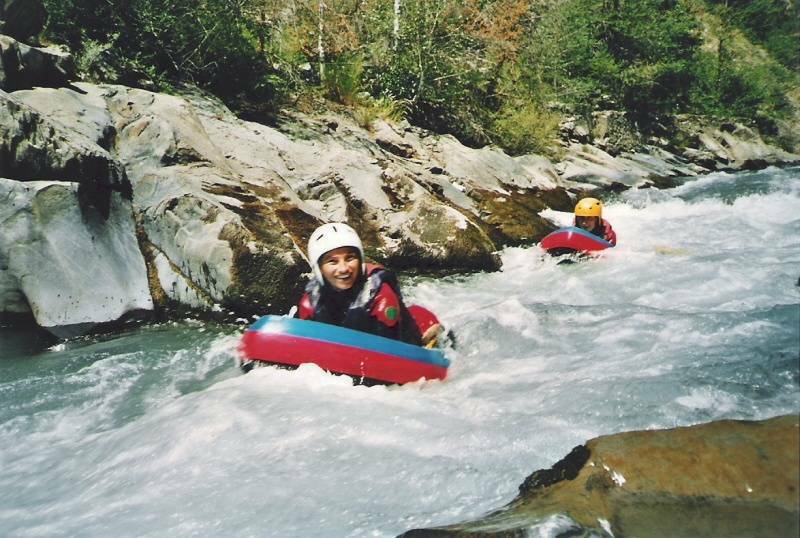 Minimum age for hydrospeed is 13. 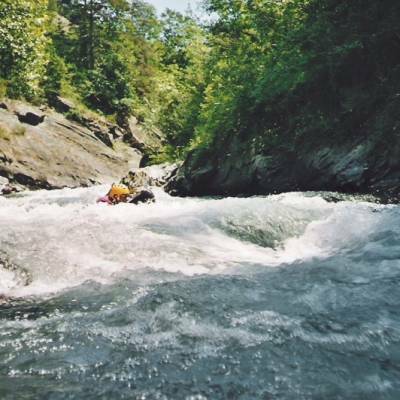 As you are in water which is very powerful, it is important that you have enough body weight and strength to be able to swim across the current without being swept away. 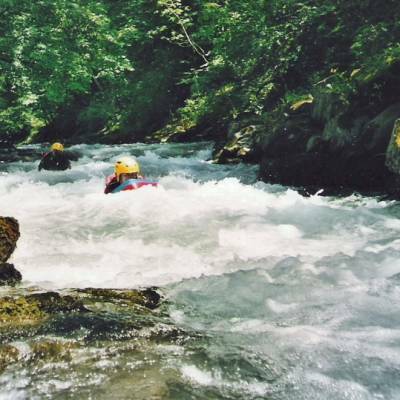 No previous experience is needed but all participants must be able to swim on a distance of 25 meters and prove it if asked.